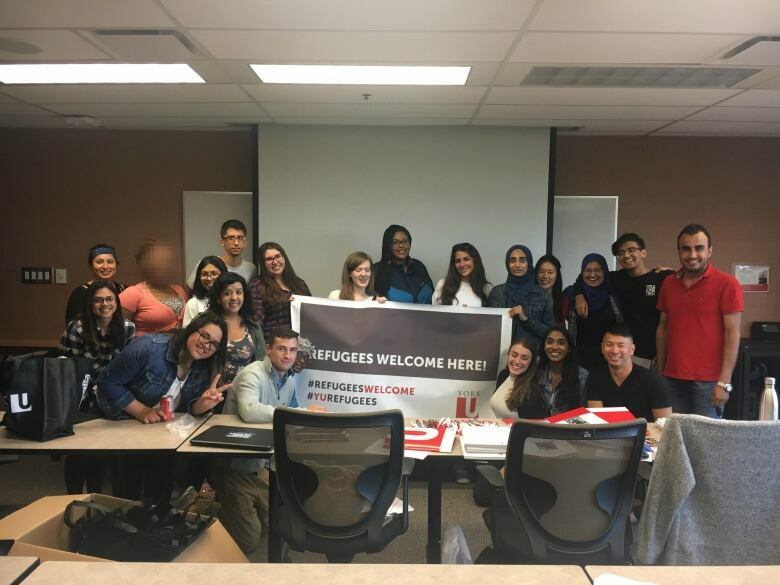 York University, in collaboration with the Toronto-based FCJ Refugee Centre, is expanding a program that began last year to allow students with precarious immigration status to register for a university degree program. As a teenager, Rosa Solorzano was more worried about avoiding deportation than completing a university education. She was living with her family illegally in Texas, having fled their home of El Salvador after her brother was threatened by gang members, she says. The family eventually moved to Toronto in 2012. Six years later, her refugee claim has been accepted. Over the last year, Solorzano has been able to start thinking about her future. Thanks to a pilot program in joint collaboration with the Toronto-based FCJ Refugee Centre, she's been studying film production at York University. When Solorzano returns to classes this week, the 24-year-old will be a regular second-year student. The program allows students with precarious immigration status — Canadian "Dreamers" — to register for a university degree program. The pilot program, thought to be the first of its kind in Canada, has graduated itself to a permanent program. This school year, the university will be admitting 16 students, up from 12 last year in the fall and winter semesters. "Dreamers" refers to the U.S.'s Deferred Action for Childhood Arrivals (DACA) program for immigrants who were brought illegally into the country as children and hope to remain there. DACA, created by then-president Barack Obama, came under fire when President Donald Trump announced his intention to cancel it, putting an estimated 700,000 to 800,000 people under threat of deportation. There's currently no large-scale data collected about the number of people with precarious immigration status living in Canada, who have limited opportunities to work and next to no chance of post-secondary education. 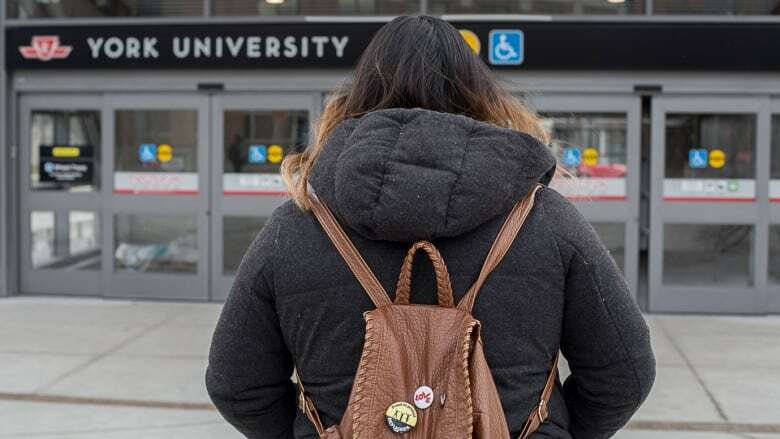 York University president Rhonda Lenton says the "Dreamers" program "was completely consistent with our commitment to social justice and to providing that type of access." "If you want to ensure successful integration of young people into Canada and into our system, education is key," she said. Without this kind of admission, these young adults who wish to go to university would have to pay international rather than domestic tuition fees. They're not eligible for financial aid, such as OSAP in Ontario, either. Students admitted to the "Dreamers" program instead pay the same tuition as local students. Some are eligible for partial or full scholarships provided by the Cannonbury Foundation, which provides funding for low-income students. Solorzano was granted a full scholarship for her first and second year. "I would like to see that this approach, especially in terms of establishing admission pathways … commonly available across the country, so that we share together the responsibility of thinking about how we are building resilient cities, and providing these social mobility pathways," Lenton said. ​The chance to attend university was a rare pillar of stability for 22-year-old Tee-Jay Siririka in what had been an otherwise uncertain few years. After he and his mother fled from Namibia — and his abusive father — in 2011, they were stuck in immigration limbo when their refugee claim was dismissed. "Everyone wants a stable life, but … you don't know what's going to happen today, you don't know what's going to happen tomorrow. That's the feeling, always," he said. Then York's pilot program offered a glimmer of hope. Siririka developed an interest in Canadian politics and policy, and hopes to have a career as a public servant. Like Solozano, he received a full scholarship for his first and second year. This summer, Siririka and his family were accepted as permanent residents on humanitarian and compassionate grounds. He begins his second year at York this month. "After that, I took a deep breath and realized I'm home." Will 'Dreamers' program expand to other schools? But many "Dreamers" still find higher education out of reach. 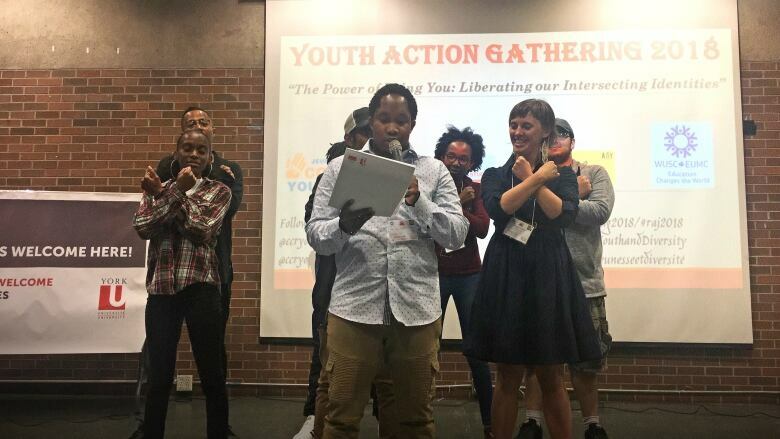 Twenty-year-old Naol and his family left Ethiopia because they are Oromo, an ethnic group that has been subject to violence and marginalization. Fearing for their safety, they moved to Canada and currently live in Edmonton. CBC is not using Naol's last name due to his precarious immigration status. 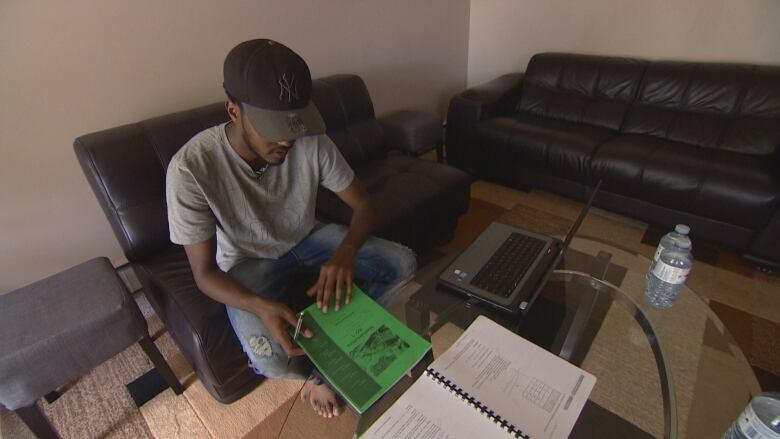 Unable to pay international student tuition for university, he had hoped to be granted permanent residency, but that has not happened yet. "The lowest point I've been in since I came to Edmonton was actually the day I found out we weren't admissible to be here permanently," he said. He still dreams of going to school and becoming an engineer like his uncle. He hopes to apply to York's "Dreamers" program in January, but is worried about leaving his mother in Edmonton with his three younger brothers. "When I see myself leaving Edmonton and going to York, it's really hard. Part of me can't really go because I have to stay behind and help my mom," he said. "I have started to slowly transfer that responsibility to my little brother ... but it is certainly a daunting moment where you don't really know what to do." Written by Jonathan Ore. 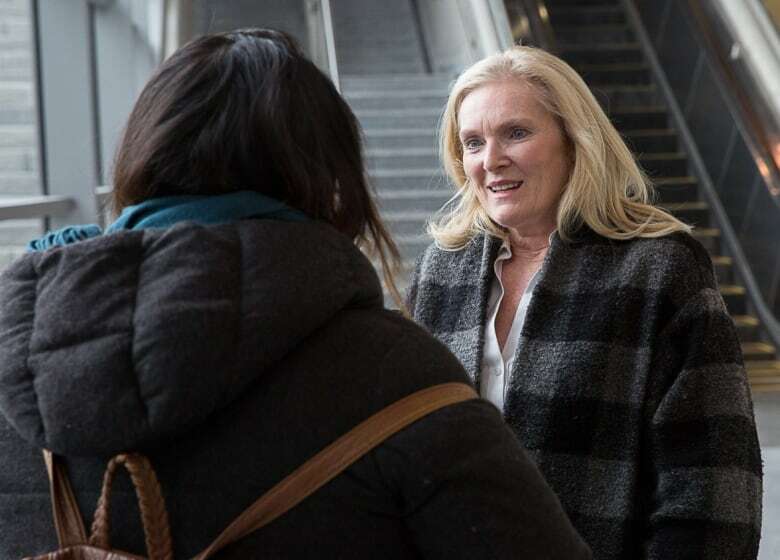 This radio documentary was produced by Metro Morning's Mary Wiens.